The nature of power and authority within Buddhism is a potentially volatile subject, especially for many modern day people who advocate equality and egalitarianism. Such ideals are no doubt heavily influenced by modern movements towards democracy and such recent ideologies as feminism which seeks to correct perceived inequalities and injustices. Buddhism in popular culture is normally perceived as being egalitarian and quite compatible with liberal western democratic values. Not only is it a religion of tolerance, but one that promotes equality. Such prescriptive ideals are at odds with the historical and present realities. Historically long ago hierarchy and inequality became essentially hard wired into the institutional religion(s) we call Buddhism(s), and we will look at this in this post. This might be disagreeable to contemporary western sensibilities, but until recently, and perhaps even still, a prescribed hierarchy and vast degree of inequality between Buddhists would not have registered as problematic for most Asian cultures. The Buddha is on record as having told his disciples two pertinent things in respect to how the tradition he founded was to be developed and practised. It needs firstly to be noted that he never appointed a successor, though figures like Mahākāśyapa did take a lead role in formulating the canon according to the traditional histories. He also insisted that practitioners be “islands onto themselves”. This is significant because it illustrates that a strict hierarchy based on spiritual authority and autocratic control of a community was not the Buddha's intent. As the founder of the sangha he had a degree of charismatic authority no doubt, but he did in fact establish a democratic mechanism within the sangha for deciding on matters through tacit consent of the whole assembly. Let us consider two relevant quotes as follows. Here is the famous statement where the Buddha instructs us to rely on ourselves with the Dharma/Dhamma as our refuge. He does not instruct Ānanda to rely on lineage or authority. We also have the Buddha explicitly stating he will appoint no successor. According to this, the Buddha placed spiritual authority in the Dharma rather than a human successor or even the assembly of arhats which might have been a logical option. There is no mention of lineage blessings or some type of “Dharma transmission” which would bestow institutional authority on select individuals. It seems that, based on the early canon, there is no basis for lineages as they came to develop. Spiritual authority was first placed in the abstract Dharma. This would mean no person could claim special status or privileges based on title or appointment. A person was to be judged based on their cultivation of Dharma. Nevertheless, as a community there were still means to adjudicate and make collective decisions. While the dating of the Vinaya literature is debated, I believe that at least some of it reflects historical fact or at least a somewhat later cultural memory of how things were established originally. One example of this are the more or less democratic procedures with which formal decisions were made within the sangha such as ordinations, forced exiles and other such matters. The karma proceedings as they are called are carried out through tacit consent. 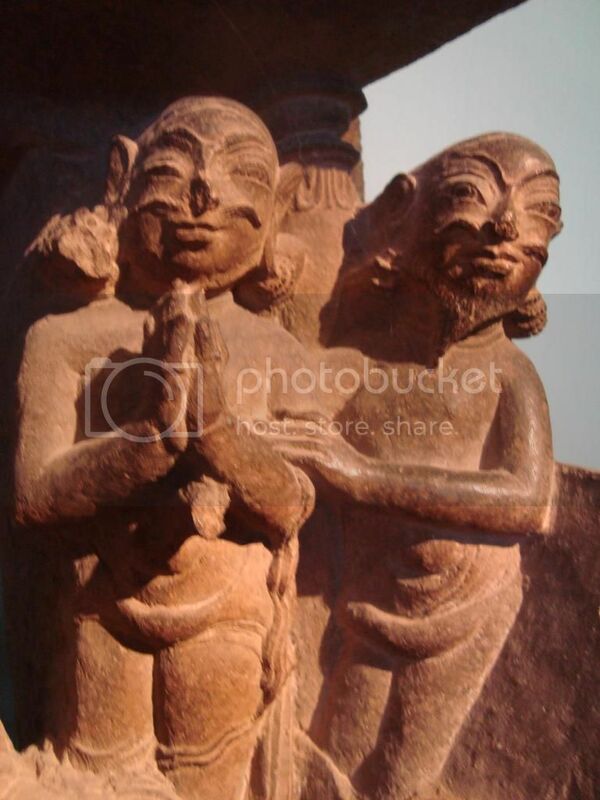 Basically, a proposition would be put forward before the required minimum number of present bhikṣus and provided there were no objections and the assembly remained silent it would be passed. If any objections arose, then they had to be resolved before the motion was passed. In light of all this, we might ask what basis there is for appointed titles and leadership roles that effectively function as autocracies, especially outside of India? We need to consider the fact that as Buddhism spread to foreign lands, such as China, the original democratic principles enshrined in the Vinaya would have seemed quite alien to heavily hierarchical societies which determined authority based on one's ancestry. This naturally led to a reproduction of clan-like structures in the Buddhist communities where monastic disciples functioned as adopted sons. In Chinese Buddhism from early on it seems that legitimacy was decided based on constructed lineage charts with sufficient aggrandized figures throughout the past, which was not at all unlike family tablets and the mechanism for legitimizing elite power. Having no formal leadership and deciding on things by vote would not have worked in such a culture. This perhaps also helps to explain why the karma proceedings as per the Vinaya were never really implemented throughout Chinese history despite the texts for it having been translated in the early fifth century. However, the formation of hierarchy and lineage in Buddhism is rooted in other factors. The analysis here can go a lot deeper with recourse to general sociology. Human organizations tend towards individuals forming cliques and acquiring collective power for themselves. In a religious context spiritual authority is often just as potent as economic, social and cultural powers. Spiritual capital is also exchangeable for economic and political capitals as well, which furthers the aims of a given institution within a society. A religious institution will inevitably want state sanction plus a stable economic base with which to develop and expand its infrastructure and membership. This is in contrast to unorganized religious communities where power is dispersed and consequently complex projects, such as defensive strategies against hostile forces as the Buddhists required, prove difficult if not simply infeasible. - Economic capital: economic resources such as cash and assets. - Social capital: resources linked to a “durable network of more or less institutionalized relationships of mutual acquaintance and recognition”. - Cultural capital: knowledge, education and skills which elevates someone to a higher status in their society. I believe we can also add spiritual capital to the above list as a unique form of capital which promotes interests beyond economic means. It would of course be related to cultural and social capitals, but beyond that there is a sort of power that comes with widespread belief in some religious icon, person or idea that is convertible into other forms of capital and which fosters inequality within a given community. In Buddhism these four types of capital are all present. Spiritual capital would be the ability to command the labor and resources of a community based on people's religious beliefs. The lowly laywoman in the temple kitchen has no spiritual capital and thus would receive no offerings from the larger community. She would exercise minimal power in the decision making process. In traditional Buddhist thought her gender would be seen as a handicap to spiritual attainments and her lack of renunciate status would likewise diminish her chances of acquiring any spiritual capital. Meanwhile the celebrated renunciate arhat would possess vast stores of spiritual capital despite not having a dime to his (or her) name. This spiritual capital would be just as valuable as social or cultural capital as the faith in him as a "field of merit" and teacher of liberation could literally move mountains if he asked for a monastery to be built and sufficient numbers of people believed in him. Cultural capital would be all the skills and knowledge necessary for priestcraft, religious theater, exegesis, chanting, scripture copying and related fields. One prime example of cultural capital in much of the Buddhist world is skill in calligraphy. Tibetan and East Asian monks can spend many years perfecting their art. Kūkai's work so admired that people to this day emulate his hand; both his Chinese characters and siddham script (Sanskrit). 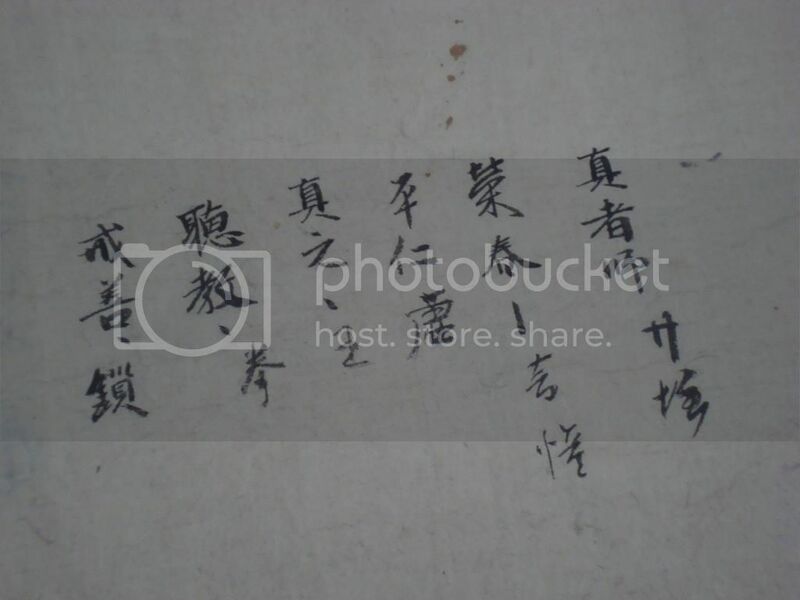 In premodern East Asia skill at calligraphy was a sign of good education, personal cultivation, patience and class, all of which distinguished the master from the common monastics. In modern days as well the fine works of eminent figures are prominently displayed for the public to admire and even emulate. Around many contemporary Taiwanese monasteries the works of their respective masters are positioned in key locations for people to readily view, such as in the dining or reception halls. The work of anyone else is only naturally not considered worthy enough. The master's work raised above all not only affirms his or her status, but indirectly diminishes the status of everyone else. As representatives of their organization their calligraphy can essentially function as subtle power projection where a sharp eye can admire their skill which would only naturally reflect their other good qualities such as leadership. Social capital within Buddhism might be best illustrated by lineages or sects. Membership in a given lineage brings with it various privileges which might include immediate access to material resources, even simple things like free food and shelter which outsiders would be forced to pay for with labor or cash. The status that comes with having an elevated position within an organization further amplifies inequality. For instance, if you are a senior monk you probably will not be asked to sweep the floor and clean toilets, whereas the lowly novices are given such dirty jobs and in due time they pass such tasks on to their underlings. Those in elevated social positions within a Buddhist organization generally enjoy the fruits of others' labours, and all this is justifiable given their social status. The official sangha is tied in with social capital as well. The sangha is a “field of merit”. This is a social construct where formally ordained monastics are given material offerings as a means of generating merit which is believed to result in good tidings in this and future lives. Their position is strictly demarcated from that of common laypeople. The laypeople cook the rice and give it to the monks and receive merit plus teachings. The sangha might request the laypeople construct something on their behalf (the classic example is a meditation hut) and given the accumulated capital of the sangha it probably gets done. Here we see the interplay between the different forms of capital. Cultural, social and spiritual capitals are easily converted to physical goods and services, as well as economic capital. For many centuries the sangha has found itself in a kind of dual world where on one hand as renunciates having personal wealth was ostensibly taboo and contrary to the Vinaya, and on the other would accumulate vast amounts of assets and cash as a collective body. People and states would make offerings of land and money to the sangha in exchange for merit, teachings, social unification and regime legitimization (see my earlier post entitled Buddhism and Early States - Tibet and Japan). In many cases throughout Buddhist history economic capital was essential in acquiring the other forms of capital. In order to become literate and able to compose decent verses in East Asia for example one needed paper, a set of the classics, a tutor and other such essentials, all of which cost money. A monastery could in theory provide such things, but again this possibly came with a financial cost in China which had a cash economy. Even spiritual capital in some cases had to be acquired through exchanging economic capital. One prime example of this is the necessity to make expensive offerings in order to receive some tantric empowerments, though having such empowerments in some cultures elevated one's social status and ability to acquire further capital. Kūkai for instance was able to have several large monasteries built after returning from China because he could offer the aristocracy new and advanced forms of ritual technology from the continent which they saw great benefit in. He alone did not have sufficient economic capital to build such institutions, but his spiritual capital, which was gained through a trip to China paid for with gold, was eventually convertible to real life goods and services well beyond his economic means to acquire. It is of course quite reasonable in some contexts to consciously attempt to gain a monopoly over spiritual authority because a dispersion of that authority would not only undermine the personal power base of religious elites needed for a linear direction, but also undermine the accumulated spiritual authority necessary for substantial projects which further the interests of both the common devotee and the ecclesiastical elites. We need to consider what this is really saying and who benefits from such a belief. As Cicero suggested: cui bono? Who benefits from this? Unless we accept the stated belief as is, we might wonder if there is not an alternative motive behind these ideas. The idea that non-bhikṣus cannot achieve arhatship and live to tell about it is basically an attempt at disenfranchising and undermining the spiritual authority of non-monastic or unorthodox śramaṇas and lay practitioners. If we accept this belief, then any unofficial monk or yogi claiming to be an arhat past a day is either mistaken or lying. The formally ordained and institutional monastic sangha thereupon comes to have a monopoly over spiritual authority as they and they alone have arhats which are, next to rather rare pratyekabuddhas and buddhas, the ultimate field of merit for offerings. In other words, they are the wealthiest beings in terms of spiritual capital, and only the official sangha has them. This is effectively a consolidation and forced appropriation of spiritual capital. However, it goes a bit further than this. Indirectly another source of spiritual authority is gained through claiming to be the sole institute capable of realistically producing and actually retaining arhats past a day. As per the Vinaya regulations it is the fully ordained sangha which get to decide who will and will not be permitted to receive the full precepts. According to the ancient Vinaya literature they have a responsibility to weed out unsuitable ordinands based on various criteria (for instance, intersexual persons, debtors, those who have killed their parents, etc.). Receiving the full precepts is what legally makes you a field of merit, i.e., a receptacle for offerings producing boundless merit. In other words, you are invested with spiritual capital. Based on the logical conclusion from such ideas, the formal sangha has the power to decide who can and cannot achieve full liberation and not immediately drop dead thereafter. Essentially, if a formal ordination is a prerequisite for arhatship, it is they and they alone who grant people the bliss of liberation. They put themselves in a position where they exercise supreme spiritual authority. It is like the old Church deciding who gets to go to heaven. If you should anger them, then you would not be buried properly and fall into hell. If they did not care for you, they could excommunicate you and this entailed hell. They subverted what was a personal spiritual quest into a very human operation and profited nicely from such arrangements as the vast wealth of Christian institutions past and present demonstrate. The same thing happened with some elements in Buddhism early on as well it seems. They subjugated the popular practice of supporting monks into a doctrinally justified spiritual monopoly. To question this might be regarded as slandering the third of the tri-ratna, which would entail suffering some ghoulish karmic punishments in hell as a result. We might wonder if this development was motivated by sinister purposes. I do not think this was the case. It seems to me, judging from the available history, that this development likely represents, generally speaking, the early division between forest dwelling monks (āraṇyaka) and urban dwelling monastics. The move towards monasticism was effectively motivated by changing social and religious environments which rendered the old models dangerously obsolete and required institutionalization of the sangha and Buddhadharma as a strategy for survival. In my opinion the move towards urban monastic arrangements was probably motivated by pragmatic concerns. The old lifestyle of mendicancy and homelessness was likely becoming problematic as time went on given increasing influences from Brahmanism and the hostility it displayed towards śramaṇa culture. We need only consider the Śuṇga state (185-75 BCE) which was established by Puṣyamitra Śuṇga (185-149 BCE) following the end of the pro-Buddhist Maurya regime (322 BCE-185 BCE). While Puṣyamitra's activities are still debated by scholars, Giovanni Verardi in his work Hardships and Downfall of Buddhism provides a compelling case demonstrating that Puṣyamitra did in fact oppress Buddhism as part of his attempts to consolidate his power base and social arrangements which were in favor of Vedic orthodoxy. The greater religious environment under brahmanical influence was increasingly hostile towards śramaṇa culture. The Manusmṛti equates heretics (such as the Buddhists) to gamblers, bootleggers and so forth in that they must be expelled from the city as they oppress the king's subjects.5 It was in such a context that Buddhist traditions had to move out of forest, so to speak, towards landed monasticism. One might think the forest was a safer option in some regions, and presumably such traditions carried on as evidence would suggest, but the vulnerability of disorganized and decentralized śramaṇa communities would have been apparent to the Buddhists living under and immediately after Śuṇga rule. Having a consolidated institution with influential benefactors would have been a safer option than being a community of largely decentralized semi-democratic mendicants. The development of a strict Vinaya system and organized sangha with formal ordination procedures was probably a slow process (or rather, a slow accumulation of economic, spiritual, cultural and social capitals). Even by the time the Mahāyāna emerges it was still not entirely consolidated and legitimate. In an earlier post Flexible Mahāyāna Ethics we took a look at how the Vimalakīrti Sūtra, an early Mahāyāna sūtra, actually mocks the Vinaya system when Śāriputra is portrayed as concerned about being showered by a goddess in flowers he cannot remove. His concern is with the letter of the law: monks cannot be adorned with flowers. If the Vinaya is late period literature, then quite possibly when the Vimalakīrti Sūtra appeared the Vinaya system was still developing and hence not universally accepted as canonical. If the early Mahāyāna proponents had seen it as canonical (buddhavacana or the words of the Buddha), then presumably they might not have made such a mockery of it. Nevertheless, the power consolidation of the Vinaya was never absolute in India. The fact of the matter is that a lay priesthood developed early on, much to the dismay of Vinaya proponents. 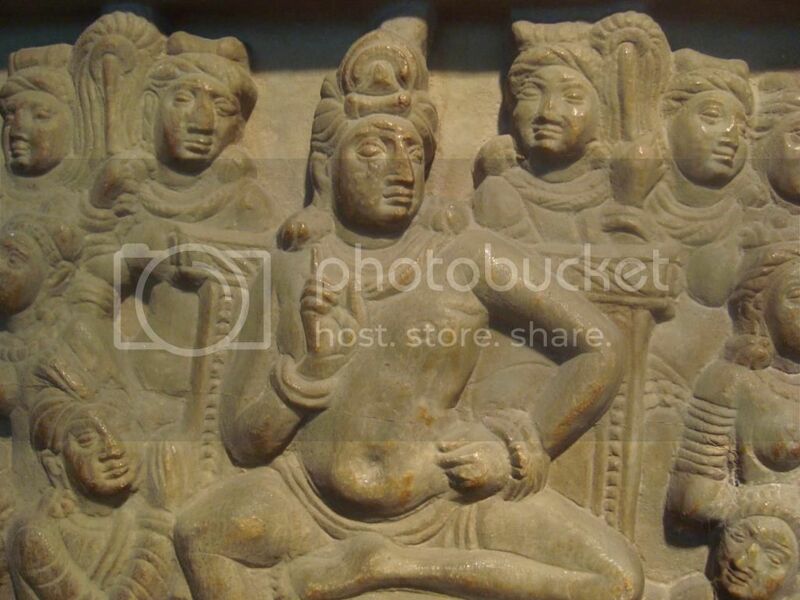 In a future post we will have to take a look at how such a non-monastic Buddhist priesthood existed in ancient India plus later developments on the subcontinent and elsewhere. At this point we might wonder where Buddhism(s) can go from here. As outlined above a lot of the original democratic ideas as the Buddha proposed them were either ignored or rendered obsolete. In foreign lands they were simply alien and consequently not implemented. However, in a modern liberal democratic country with universal suffrage, the cultural environment within which democratic principles are appreciated and respected might lend itself to more egalitarian power structures. Spiritual leadership could be decided by the vote of all members, senior and junior, rather than appointment. This already happens in many places, but then at the same time foreign power structures are either reproduced or affirmed in lands where Buddhism is still in its infancy, thus undermining any movement towards real equality (this assumes enough people want equality). We do not have to have appointed titles, strict hierarchies and gender inequalities in our organizations, and all things considered we might as well be better off without them if our cultural background is essentially in favour of equality. In other words what works in one culture will not necessarily be optimal in another. This might be an ideal, but nevertheless it could be implemented. One obstacle of course is beliefs that depend on institutional authority. One example of this is the idea of "Dharma transmission" which is an undemocratic transfer of spiritual and sometimes institutional authority from master to disciple in Zen and Chan. If the community really believes this somehow entitles the appointed leader to special privileges, exemptions and teaching rights, then egalitarian ideals will just remain ideals. One alternative would be to simply go back to the Buddha's original intent: be an island onto yourself and place spiritual authority into the abstract Dharma rather than individuals, in which case the right to teach and the respect that comes with being a guide would be determined based on one's knowledge and implementation of the Dharma rather than some kind of institutionalized sanctioning and/or title. We will talk more about this in a future post. 1 John Field, Social Capital, Second Edition (Routledge, 2009), 18. 2 Johannes Bronkhorst, Buddhism in the Shadow of Brahmanism Handbook of Oriental Studies (Leiden: Brill, 2011), 17-18. 4 Giovanni Veraridi, Hardships and Downfall of Buddhism in India (New Delhi, India: Manohar, 2011), 98. Thanks for this solid scholarship, Ven. Indrajala. Your writing is well founded and precise, yet always enjoyable to read. For me, it helps "move the ball down the field" in a very beneficial way. Hi Michael -- thanks for the comment. I'm glad to hear you are enjoying these posts. A really enjoyable article! I'm looking forward to reading more from you. Thanks for this! Me, myself, a semi-educated sociologist, just getting into this marvelous universe of Buddhism, am searching around for good scholars and tutors who can guide me further into this all. Your perspective intrigues me, showing how Buddhism necessarily also would be influenced by more humane (greedy...) motives in its development and structure. It especially intrigues me, since for me Buddhism seems (seemed) so sincere, "naive" and true to it's precepts, noble and holy as to not being governed by lesser motives than what's best for all beings, development and ultimately enlightenment. Your writing reminds me that there will always be people like Devadatta lurking around, threatening sound foundations. Still, authority is real and unavoidable, and will always be good in many ways (depending on its foundation). Intriguing as well your pointing out the necessity for Buddhism to adapt to this, our, everchanging world. An interesting article, thank you very much! Hi Christian, thanks for the comment. I am happy to know the article was useful! Buddhism(s) as organized human religion(s) are subject to the same corrupting influences as anywhere else. The reason for this is that once any organization has access to money, power and resources, it starts participating in the politik and hence becomes connected to immoral processes which keep the world rolling along. Take for example how we might condemn brutal regimes in the middle east, but then those regimes keep the cheap oil flowing which enables us to run our recycling programs and free health clinics for the poor. We might lament the government's inaction on climate change, yet the electricity powering our meditation halls and digital texts was generated through fossil fuel use. That is the nature of life unfortunately. It is undeniably ugly. You can't fix saṃsāra, but you can make the best of a bad situation if you are willing to see things realistically and recognize your own necessary evils. Eating vegetarian is a lesser of evils for instance, though it is still better for the environment, your health and people's karma. The idealized image of Buddhism is carefully preserved during this period when it is a fad in the west. Just as well things could turn ugly and there could be propaganda campaigns showing all the warts and skeletons in the closet. Again, if we're realistic rather than idealistic we can discern how best to mitigate the effects of afflictions on an individual level but also on a group level. We can also be honest about our necessary evils and not have to deal later on with the rotting effect contradictions and hypocrisy inevitably breeds over the long-term. Great concept, looking forward to following along. Hi Surya Das. Thanks for the comment.